The 2018 MTV Movie Award Winners. Wakanda Forever! We’re still a long way from next year’s Academy Awards but comic book fans are already hoping that Black Panther will be recognised at the ceremony (making it the first superhero movie to receive a Best Picture nod since The Dark Knight). Regardless, the Marvel Studios movie dominated at the 2018 MTV Movie and TV Awards picking up a number of huge wins at the show. Stranger Things, meanwhile, took charge of the television field. That’s no great surprise giving its popularity but an argument could definitely be made that the second season wasn’t quite up there with the first! Going back to Black Panther, it’s great to see the movie receive so many awards and it just goes to show that it resonated with moviegoers in a big way. Did you catch the ceremony? The Winners For The 2011 MTV VMA’s. W Hotels Bring Superstar DJs Around The World. W Hotels has announced yet another addition to its musical offering, in the form of a global tour of DJs, in association with energy drink Burn. 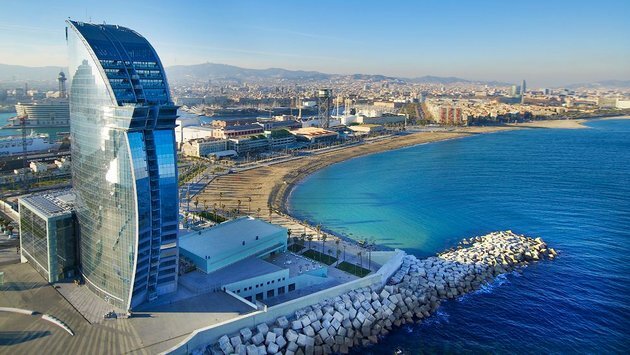 The hotel is sending six DJ competition winners on a week-long crash course dubbed the DJ Lab, which begins at the W Barcelona and concludes at the burn studios Hacienda in Ibiza, the Spanish island renowned for its clubbing. After the DJ lab, the up-and-coming DJs will crisscross the globe, calling in at W hotels to perform at exclusive events and other occasions from later this month. The hotels expecting a visit during the tour include properties in New York, Miami, Hollywood, London, Barcelona, Istanbul, Doha, Hong Kong, Seoul, Taipei, Bangkok, the Maldives, Bali, Koh Samui, and Vieques. For those unable to watch live, the mixes will also be streamed to users of the W Hotels iPhone app, which features a curated playlists and a music section. Hotels have been showing increasing interest in associating themselves with the music industry of late — both W Hotels and Renaissance offer an extensive program of performances, as well as other music-related offerings such as streaming sites for customers.